American Airlines is making a significant investment to revamp its organization-wide customer relationship management (CRM) tools, including a new CRM solution. As reported by Jay Boehmer on Business Travel News on May 16, 2013, this will enable the airline to speed contracting for travel procurement professionals and facilitate better coordination with joint business partners. According to Bop Design, a San Diego web design agency, this move by American Airlines reinforces the importance of CRM systems in managing the sales pipeline for companies both large and small. With this system in place, companies can more easily determine the right people and the appropriate level of response for each category of lead. For example, an opportunity is almost always more important than an inquiry, although in some cases it can depend on who is doing the inquiring. Most of the time, however, an opportunity should receive higher priority since it has already been qualified and is closer to commitment than an inquiry. 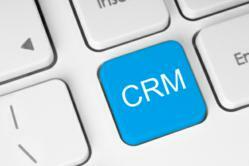 Organizing leads with a CRM also makes it easier to know when to conduct the marketing-to-sales handoff. In general, marketing focuses on lead generation and lead nurturing. These are the first steps in the overall sales cycle, and they require different skills than actually selling a product or service. At some point in the sales cycle, marketing needs to hand the leads over to sales, which uses a different set of skills to convert them into customers. In most companies, marketing takes a web inquiry through the qualifying process. If the lead turns out to be qualified, marketing then hands it over to the sales team. However, this can vary depending on the company’s organizational structure and sales cycle. The key to using CRM to effectively manage leads is to ensure that both marketing and sales are in alignment on what makes a web inquiry sales-ready. Another benefit of organizing leads with a CRM is the ability to track each step of the sales process with great accuracy. This enables companies to determine any weak spots and identify areas of improvement. For example, a company may generate a high volume of inquiries and prospects, but only a small percentage of those make it to the “lead” category. This might suggest a need to retarget the firm’s marketing materials. Or, perhaps develop a way for inquiries to pre-qualify themselves to reduce the time and resources invested in that step of the process. Bop Design is a boutique marketing communications firm headquartered in San Diego with offices also in the New York metro area. We express a business values through branding, advertising, design and web design. We also help attract a firm's ideal customer through search engine optimization and search engine marketing. The marketing firm's focus is on small businesses that want an external team of marketing specialists to help give their brand an edge in the marketplace.